Contrary to the Thomas Wolfe novel, Rocklin Manufacturing proved recently that you really can go home again. The Sioux City, IA provider of micro welders and laser markers recently moved back to a 1912 renovated building that once headquartered the company. Rocklin founder I.J. Rocklin had purchased the building in 1942, back when the company made agricultural equipment. With World War II raging, Rocklin was pressed into service making tank escape hatches and running gear in an adjacent building, which would continue serving as the company’s home while the 1912 structure sat vacant for decades. That began to change a couple of years ago when the company, under the second-generation leadership of Jim Rocklin, who died in January 2017, recognized a need for a larger space and found it, literally, right next door in the form of the 1912 structure. It was decided that the nearly 8,000-sq.-ft. building, with its large windows and storied architectural features, was suitable. 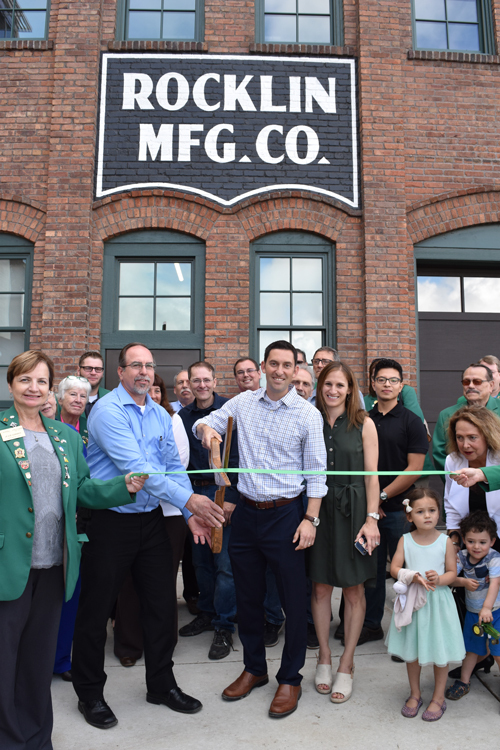 Third-generation president, Ross Rocklin, says the firm went out of its way to preserve and show off as much of the building’s original exposed brick walls, wood beams, etc., and make replacement doors and windows look authentic. Recognized with a Growing Sioux City award by the Siouxland Chamber of Commerce for its $1.4-million renovation effort, Rocklin hopes to have the building listed on the National Register of Historic Places. In meantime, it will continue making its modern-era, electronic industrial products in the 106-yr.-old structure.